As computer technology has advanced, Government organisations have become increasingly dependent on computerised information systems to carry out their operations and to process, maintain, and report essential information. As a consequence, the reliability of computerised data and of the system that process, maintain and report these data are a major concern to audit. 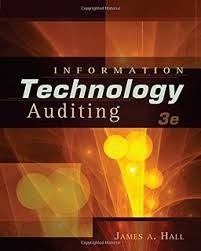 IT Auditors to evaluate the reliability of computer generated data supporting financial statements and analyse specific programs and their outcomes. In addition, IT Auditors examine the adequacy of controls in information systems and related operations to ensure system effectiveness. – Information Technology Supervisors and Managers. – Auditors of department Internal Auditor. – Management who need to understand how to control IT process. – Everyone in production as well as human resources, Finance and others who expect to know how the process of IT-audit.